The Balkans, named for the Balkan mountains, roughly consists of Bosnia-Herzogovina, Serbia, Bulgaria, Montenegro, Albania, Greece, and European Turkey. Eastern Romania, on the Black Sea, is in the Balkans. 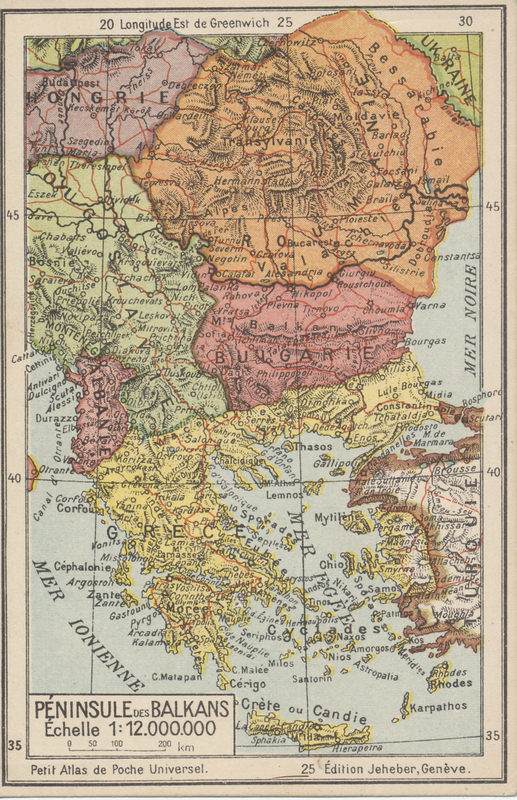 In the First Balkan War (October 8, 1912 to May 30, 1913) Greece, Bulgaria, Montenegro, and Serbia united against Turkey, defeating it, and shrinking its foothold in Europe. Montenegro expanded to the east. Bulgaria expanded southward into Macedonia and Western Thrace. Serbia gained significant territory and population to its south. Greece expanded north into Macedonia and added the island of Crete. The Treaty of London ended the war and confirmed the independence Albania had declared on November 28, 1912. Imposed by the Great Powers, the Treaty of London satisfied few of the victors. Serbia, Montenegro, and Greece lost Albanian territory they had occupied. Unwilling to give up more, Serbia refused to honor a secret pre-war agreement with Bulgaria on the division of Macedonia. Concerned about the country's intentions, Serbia and Greece signed a defensive pact against Bulgaria. Border skirmishes in early June 1913 were followed by Bulgarian offensives against Serbia and Greece on June 29. On July 10, Romania declared war on Bulgaria, attacking the Bulgarian rear from the north. On July 12, Turkey crossed into territory it had lost to Bulgaria in the first war. As Romania threatened its capital of Sofia, Bulgaria agreed to negotiate. 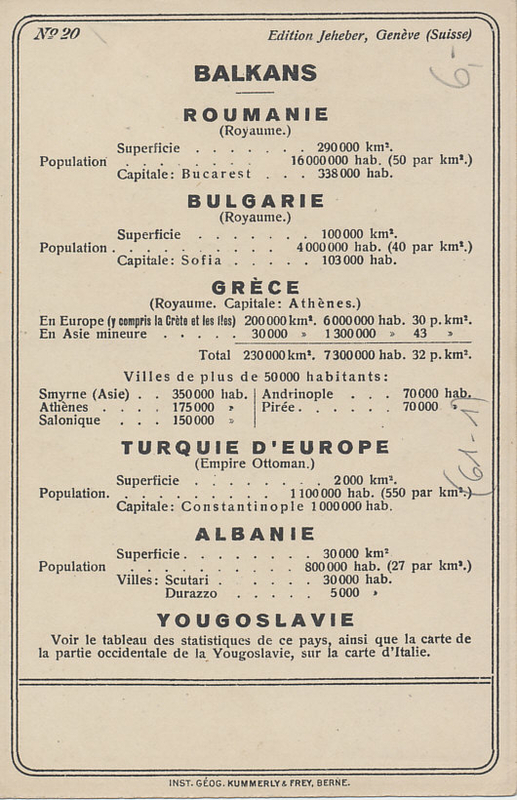 Bulgaria, Serbia, Greece, and Romania signed the Treaty of Bucharest on August 10. Bulgaria and Turkey separately signed the Treaty of Constantinople on September 30. Otto von Bismarck, Chancellor of the German Empire from 1871 to 1890, famously said, "One day the great European War will come out of some damned foolish thing in the Balkans." The Balkans is a region in Europe.